A traditional trust can sometimes create a conflict between the lifetime and remainder beneficiaries. For example, investment strategies that provide growth that benefits remainder beneficiaries can leave lifetime beneficiaries with little or no annual payouts. This makes it more difficult for your estate plan to achieve your objectives and places your trustee in a difficult position. A total return unitrust (TRU) may offer a solution. A TRU frees the trustee to employ investment strategies that maximize growth (total return) for the remainder beneficiaries without depriving lifetime beneficiaries of income. Rather than pay out its income to the lifetime beneficiary, a TRU pays out a fixed percentage (typically between 3% and 5%) of the trust’s value, recalculated annually, regardless of the trust’s earnings. It’s important to plan a TRU carefully, such as by projecting the benefits your beneficiaries will enjoy under various scenarios, including different payout rates, investment strategies and market conditions. Keep in mind that, for a TRU to be effective, it must produce returns that outperform the payout rate, so don’t set the rate too high. Your state’s trust laws also must be considered. Some states don’t allow TRUs. Also, many states establish payout rates (or ranges of permissible rates) for TRUs, so your flexibility in designing a TRU may be limited. Finally, if a trust is required to pay out all of its income to a current beneficiary, be sure that unitrust payouts will satisfy the definition of “income” under applicable state and federal law. 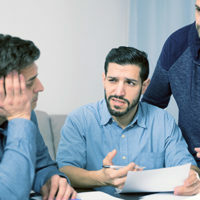 If you’re concerned that an existing, irrevocable, income-only trust may be unfair to certain beneficiaries, it may be possible to convert it into a TRU. To do so, such a conversion must be permitted by applicable state law. An IRS private letter ruling clarifies that converting a trust into a TRU according to state law shouldn’t have any negative federal tax implications. It doesn’t cause the trust to lose its grandfathered status for generation-skipping transfer tax purposes. Is a TRU right for you? By aligning your beneficiaries’ interests, a TRU can relieve tension among your loved ones and allow your trustee to concentrate on developing the most effective investment strategy. We can project TRU benefits for you under various scenarios, help you find out what’s permitted in your state and provide additional details about TRUs.